According to a report in the Guardian, almost half of all Parkinson’s cases are initially misdiagnosed. Due to the specialized nature of the disease, only an estimated 4 percent of general practitioners have the training necessary to accurately identify Parkinson’s in its early stages. Likewise, false positives are also common. A Parkinson’s misdiagnosis can have serious repercussions for both your physical and financial health. Failing to spot the warning signs makes it more difficult to take appropriate action earlier. In turn, the condition progresses faster, diminishing your capacity to support yourself and potentially requiring expensive drugs and physical therapies sooner. Particularly in older adults, it is common to overlook these symptoms or misdiagnose them as similar conditions such as Huntington’s disease, multiple sclerosis or arthritis. In either case, a delay in obtaining a proper diagnosis means a delay in setting an appropriate treatment plan, which can have an impact on your overall quality of life in the long term. 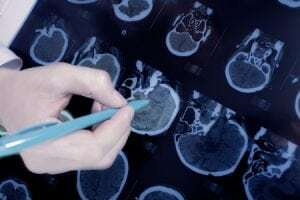 Should I Sue Following a Parkinson’s Misdiagnosis? The decision to take legal action against your care provider following a misdiagnosis of any condition can be a very emotional one. When health and independence are at stake, too many patients opt to make extreme financial and personal sacrifices to concentrate on managing their condition. The problem with this — particularly when dealing with a chronic disease such as Parkinson’s — is that, as bills mount, financial and emotional stresses end up taking a considerable toll. You owe it to yourself to speak with a Parkinson’s misdiagnosis lawyer. There may be options available to you that can secure your financial future, better equipping you to face this disease and the considerable lifestyle changes it will bring. The Parkinson’s misdiagnosis lawyers at Shulman Rogers can help patients who have suffered as a result of a delay in identifying their condition or another medical error. We will work with you to go over the details of your case and determine whether filing a medical malpractice lawsuit is the right choice for you. In everything we do, our goal is to provide a stress-free experience that secures you the freedom to focus on the long-term management of your condition. The first step is to meet with our team for a free consultation in Potomac, MD and the surrounding areas. Contact us today to get started.